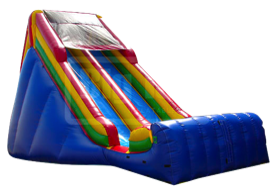 Our 24'Ft Goliath Giant Inflatable Slide will make you want to scream! 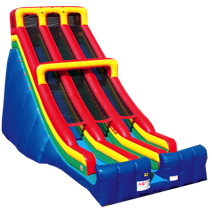 It features narrow drops and a dual lane slide for double the fun! 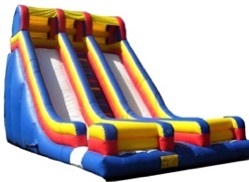 Great for events with big groups! 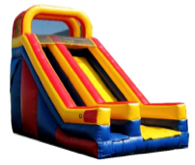 This 28'Ft Goliath Giant Inflatable Slide features a dual lane slide with a narrow drop! 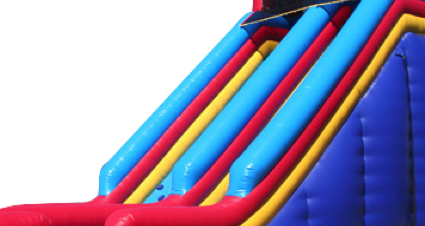 This 18'Ft Inflatable Slide features a narrow drop!